What Causes Fire in an Air Conditioner? In addition to posing a threat to your life and those of your family members, a house fire can leave you in financial ruin and destroy irreplaceable items such as family photos and keepsakes. A faulty air-conditioning system places you at risk of just such an occurrence. Portable air conditioning units pose the greatest fire risk. 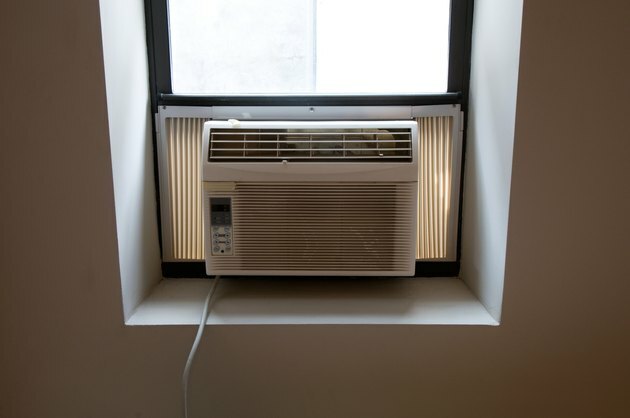 The National Fire Protection Association estimates that from 2005 through 2009, over 2,300 house fires were caused by air conditioning systems. Over this four-year period, only two people were killed by air conditioning fires, but 99 were wounded. Property owners suffered approximately $53 million in damages. Most air conditioning fires are caused by a short circuit in the wiring that causes the appliance to overheat and subsequently ignite. Frequent power surges or fluctuation in the amount of voltage the air conditioner receives can also overheat the unit. Portable air conditioning units are a greater fire risk than stationary units or central air. These units are typically smaller than their permanent counterparts – making it more difficult for the unit to keep up with cooling demands. The longer the air conditioner runs, the more likely it is to overheat or suffer a mechanical failure that ultimately causes a fire. Routinely maintaining your air conditioning unit and having it inspected at least every 12 months will help you catch problems with the unit before those problems result in a house fire.